Sometimes, simplicity looks and even tastes beautiful. A no-fuss, quick and easy to prepare dinner, but still looks stunning. 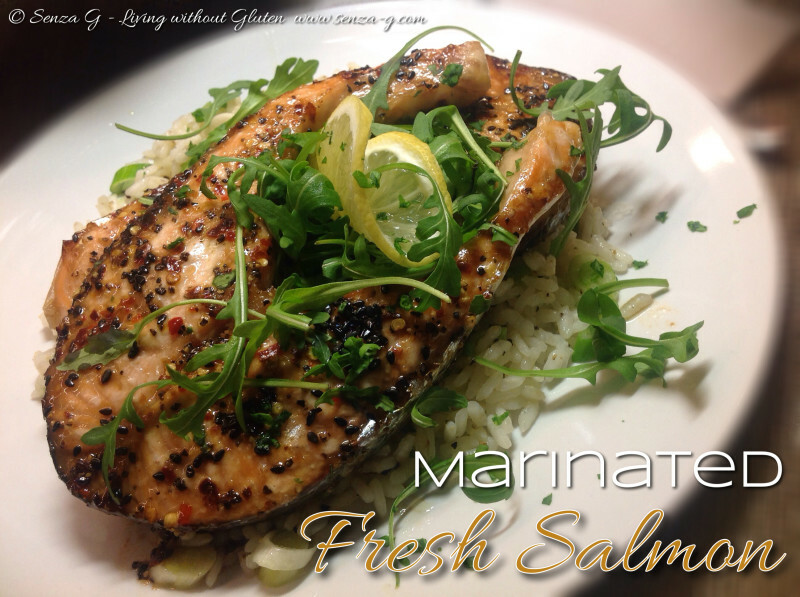 Just mix a few ingredients, marinade the salmon cutlets and just grill them. That is all it takes! In a small bowl, combine the soy sauce, honey, water, vegetable oil and seasonings. Place fish in a large ziplock plastic bag with the marinade and turn to coat. Refrigerate for at least 2 hours. Place salmon on lined baking tray and cook salmon for 6 to 8 minutes per side, or until the fish flakes easily with a fork. You can serve this over a bed of plain white rice, garnished with lemon slices and rucola.